RCW49 is a dense star-forming region in the southern constellation of Carina, which was showcased in 2003 infrared Spitzer images (http://antwrp.gsfc.nasa.gov/apod/ap040603.html). It’s distance is highly uncertain but has been given a value of 14,000 light years. It is more distant than the Carina Nebula at 7500 light years. 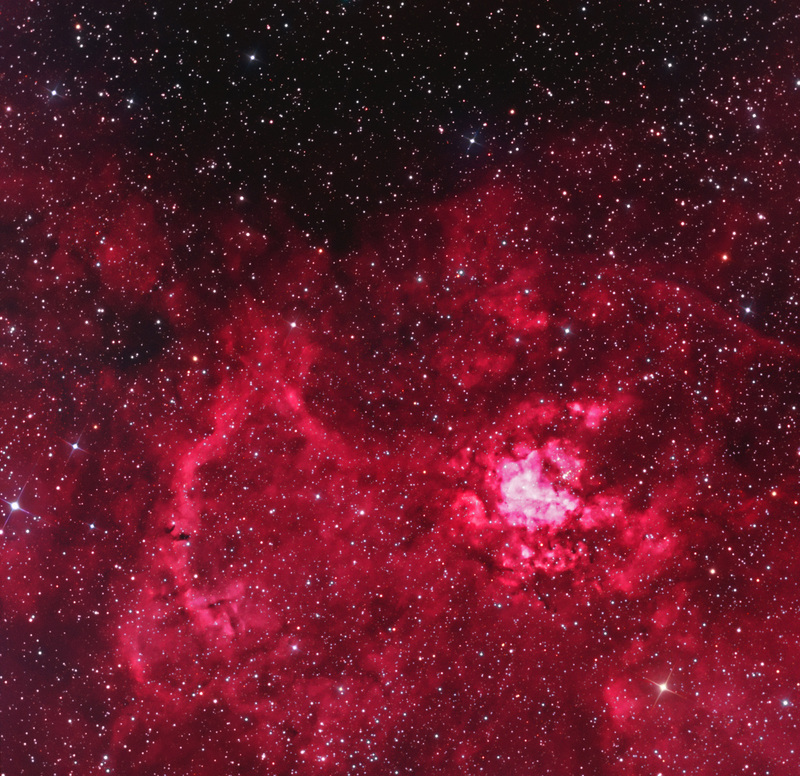 RCW49 contains the extremely massive star cluster, Westerlund 2 (W2) which is right-center in the above image. It is a stellar nursery with more than 300 newborn stars mostly shrouded by considerable dust, and as such, is highly reddened. Stellar winds from W2 are sculpting dust within 5′ , clearing out a cavernous region. North is up and toward the left, and the image is ~ 40′ x 40′. 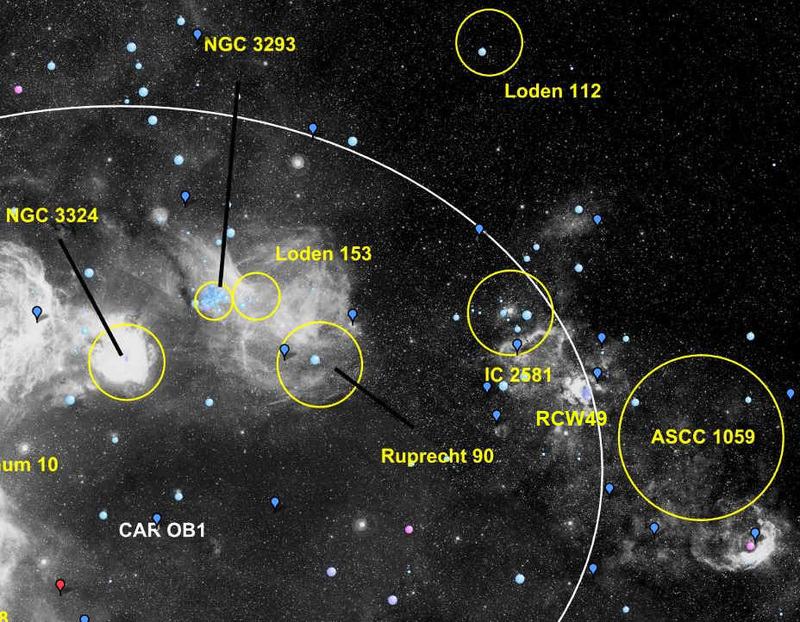 The SuperCOSMOS hydrogen alpha map shows RCW49 relative to other objects. Eta Carina is off the left side of the image. RCW49 is at the lower right of the open cluster IC2581 as the small, bright area. The bright region near W2 emits strongly in OIII and H-a.